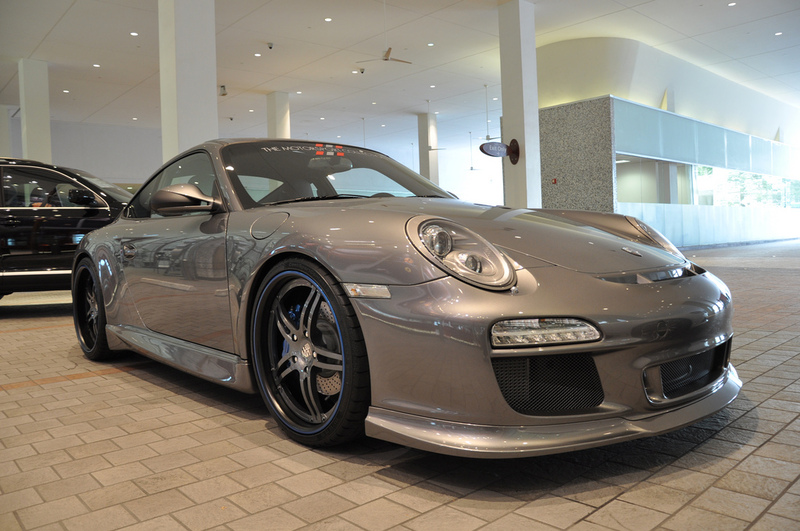 Loaded with all the goodies you can imagine, this 2010 Porsche 911 is a turn key dream machine. 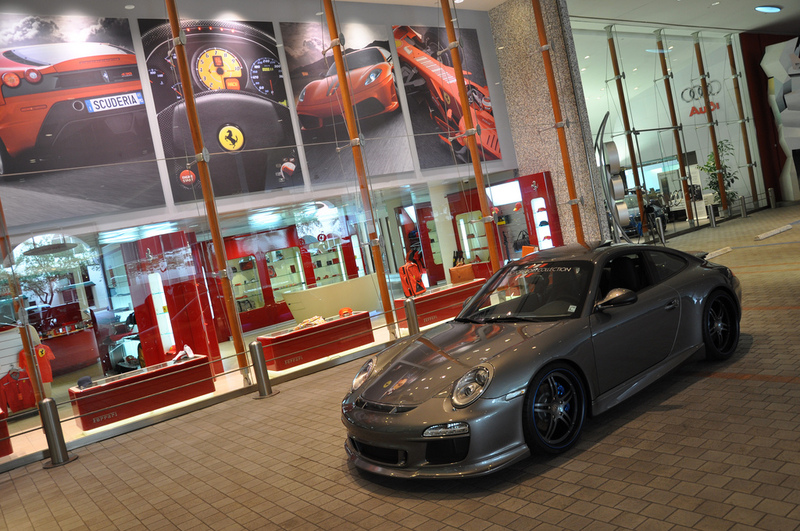 Completely revised by Andy Siradakis, Motorsport Manager at The Motorsport Collection in Coral Gables, Florida, this 911 features the 997 Spec-3 package consisting of all the accessories that a Porsche enthusiast would envision for a 911. 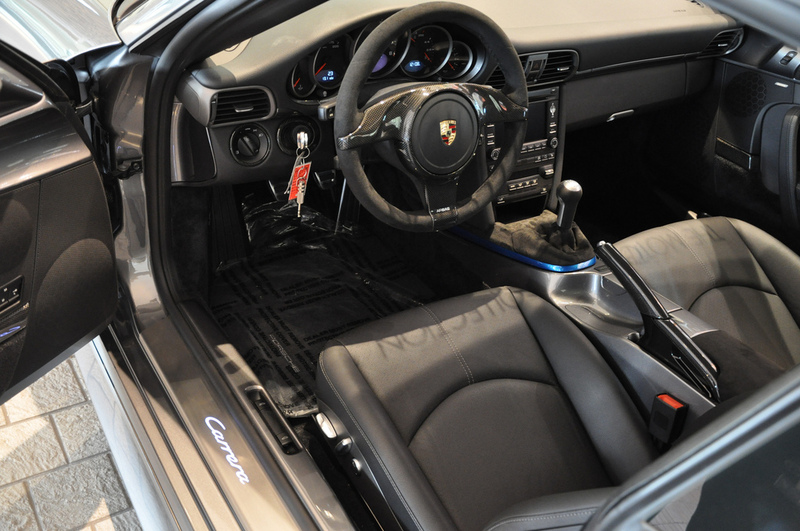 Inside the Carrera is a custom interior dressed in an array of soft alcantara, carbon fiber, and body colored components. For added comfort and grip, an alcantara steering wheel and shift knob have been fitted. Carbon fiber door inserts, steering wheel bezel, and door pulls create a sporty atmosphere for the Carrera. The interior has also been outfitted with numerous body color matching components such as the center console, cluster surrounds, overhead console, and illuminated aluminum door sills for an exclusive feel. 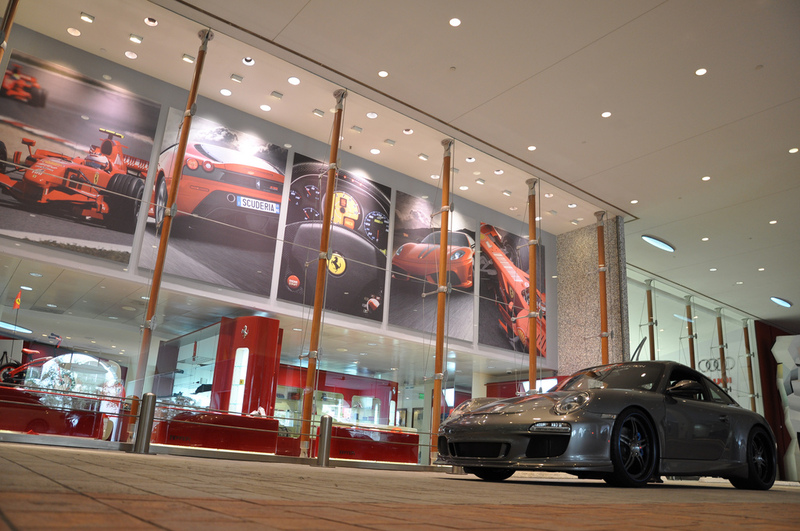 The exterior of the Carrera is equally as impressive. 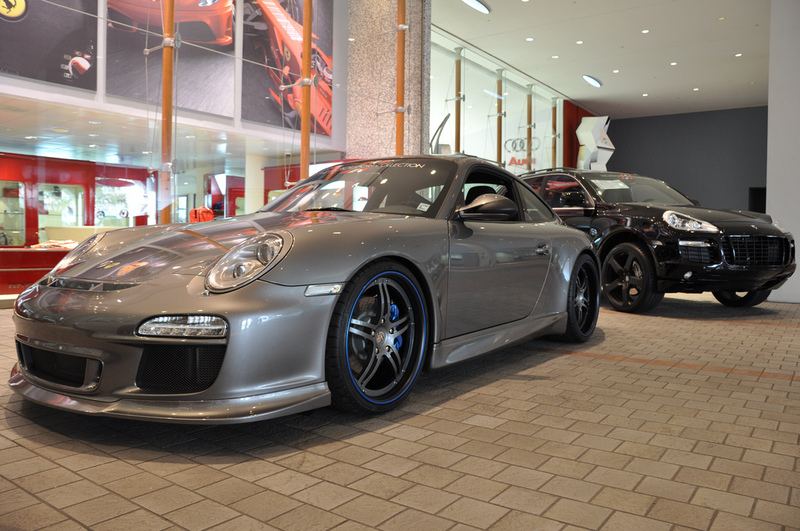 At the front, a 2010 GT3 RS bumper and spoiler lip have been fitted, giving the Carrera an imposing presence. 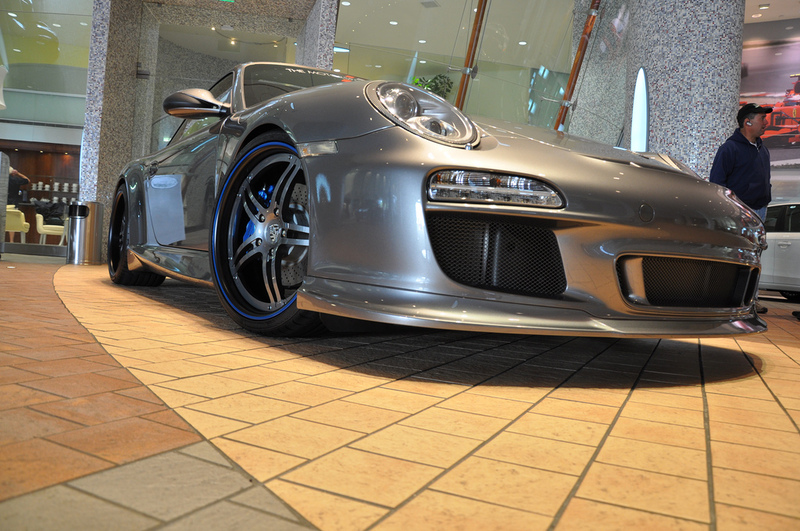 For better aerodynamics, the 997 Spec-3 package includes TechArt Type II side skirts and a custom painted rear diffuser. 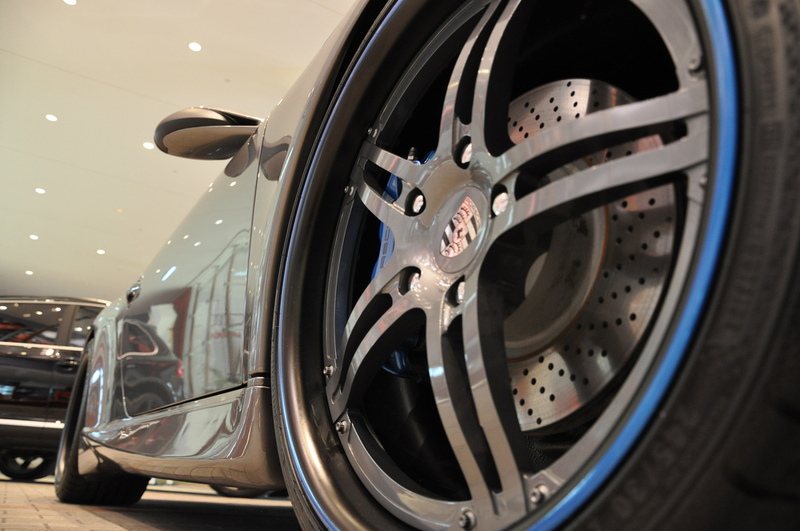 Other exterior features include a silver Porsche crest at the front, clear side markers, matte black rear view inserts, and a classic Porsche 911 badge at the rear. To compliment the commanding exterior, a set of stunning Forza Forged FRZ-551 wheels measuring 20 x 8.5 inches up front and 20 x 10 inches at the rear have been fitted. 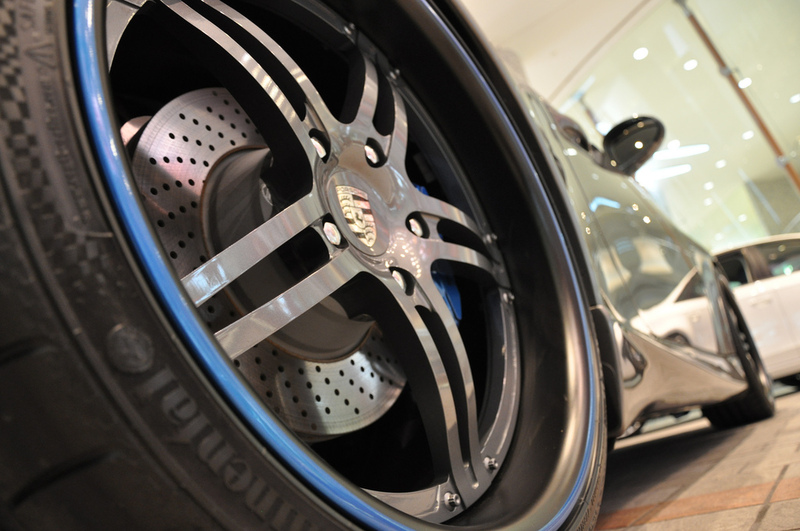 Constructed from forged aluminum the five double-spoke wheels are hand assembled, ensuring the utmost quality. 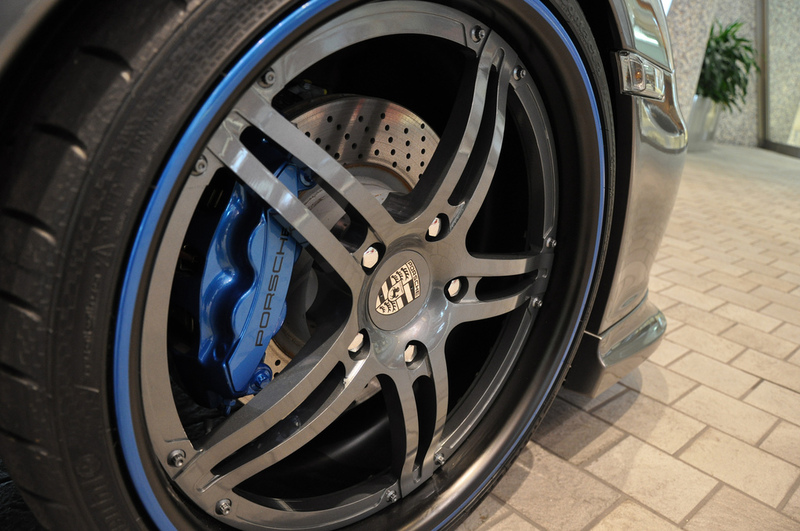 As part of the 997 Spec-3 package, the body colored wheel centers are highlighted by matte black lips and a contrasting Jetstream Blue pinstripe. 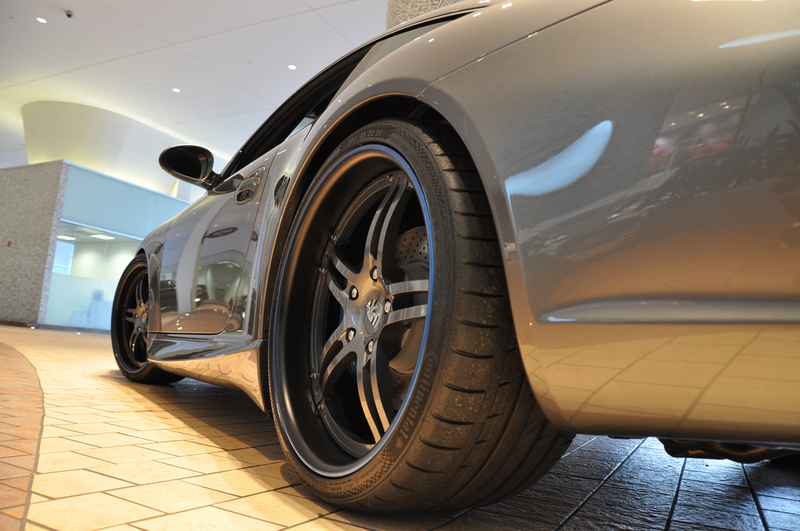 Backing up the Carrera’s athletic appearance are a number of performance upgrades. Replacing the stock springs are a set of H&R lowering springs that lower the Carrera’s center of gravity and improve handling. 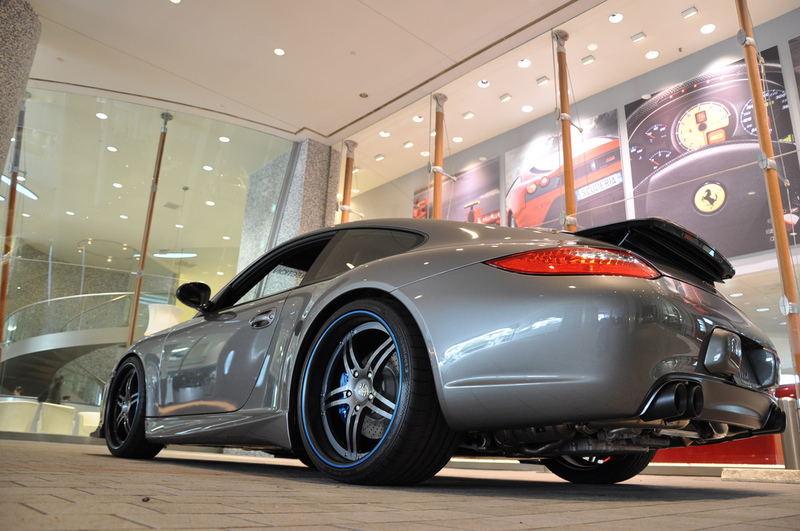 A new AWE crossover exhaust system is fitted as part of the 997 Spec-3 package to increase power, reduce weight, and add an aggressive exhaust note. The exhaust system is finished with AWE ceramic-coated Quad Tips for a powerful look. 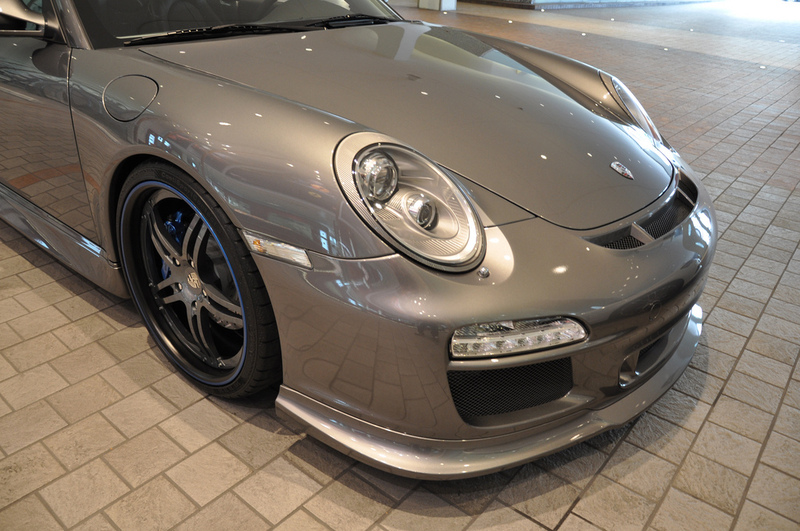 The 997 Spec-3 package is available as a $25,569.00 option through The Motorsport Collection in Coral Gables, Florida. 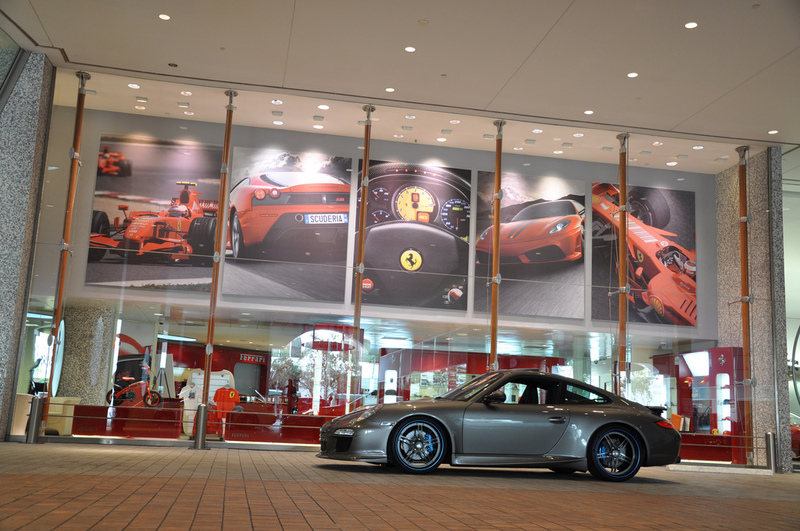 The pictured 911 Carrera revised by Andy Siradakis is priced at $115,724.00. Steering wheel, steering shroud, sun visors, console lid, shift knob, shift boot. Steering wheel bezel, door pulls, door inserts, brake handle, seat release levers, headlight bezel, ignition bezel. Center console, door spears, rear view mirrors, seatback hooks, rear seat knobs, cluster surrounds, defroster panels, map pockets, door entry panels, door triangle bezel, door bump stops, coat hooks, overhead console, shifter bezel, illuminated aluminum door sills. 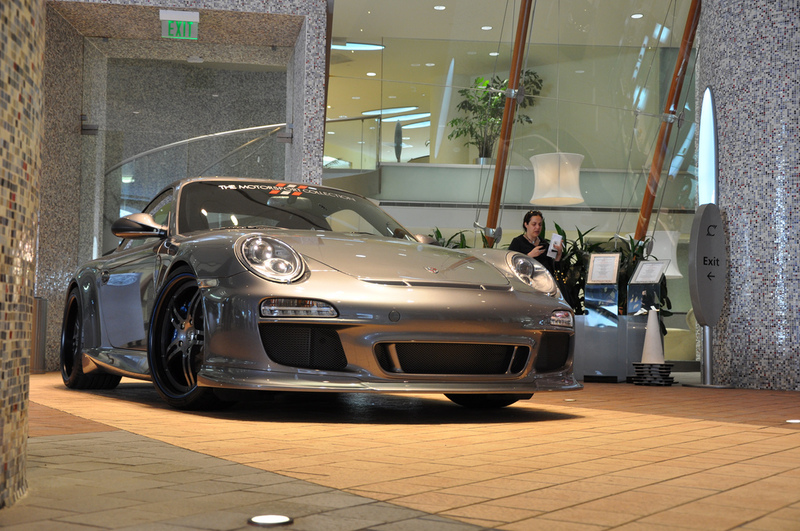 2010 GT3 RS complete front bumper and front spoiler lip, TechArt Type II side skirts and custom painted rear diffuser, matte black rear view inserts, silver Porsche Crest, clear side markers, Porsche classic 911 badge.